Friends may visit with Amanda's family beginning at 1 PM. There will be additional time to visit with her family immediately following the service. Online, please specify "God's Kitchen" for the program, and in memory of "Amanda Gorman"
What a joy it was for us to find out that we were expecting a baby to add to our family. 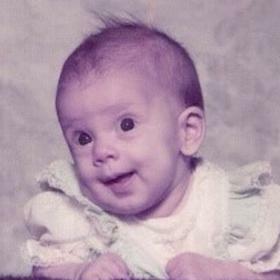 On March 29, 1982, into the world came Amanda Beth, healthy and strong. We loved her at first sight. Always curious about everything and wanting to explore as much as she could, Amanda followed me everywhere! Her older siblings – Melanie and Rob – were fascinated with this new little person and were a great help to me as she grew into toddlerhood. But her little nose was severely bumped when brother Micah arrived almost four years later. Although he seemed to cramp her style for a while, they grew to be great friends. When Amanda was four years old, we discovered that she had a form of epilepsy that manifested itself as absence seizures, where she would just “go blank” or stop whatever she was doing for a while. After some testing, medication seemed to fix this, but the seizures became so frequent in kindergarten, that we decided to home school through first and second grade. It was challenging and fun, but Amanda really missed being around other kids, and so rejoined West Side Christian in the third grade. When she reached middle school, the Holy Spirit worked in her heart to the point that she wanted to declare publicly that Jesus was her Lord and Savior, and she did that, along with friend Lisa Vander Meer, in front of the congregation of West Leonard Church. High school, however, proved to be a rougher road. 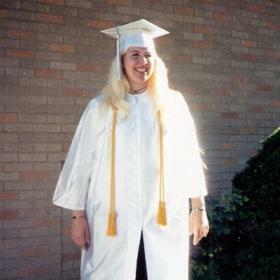 Amanda was never content to be a “status quo” person at Calvin Christian High, and soon found herself more comfortable among the “alternative crowd,” which at that time tended to be a little bit gothic. As a senior, she hung out downtown and at a coffee shop, where she met some friends with whom she stayed connected all her life. One – Michael Corbin – she married at the age of 18; that fell apart in two years, and she humbly asked for sanctuary in our home. During those two years, however, Amanda completed a medical assistant program at Olympia Institute while working at Subway and at a gas station. She loved the job she landed at the VA Clinic, eventually working as a support assistant for a large staff in the mental health department. “I love my veterans,” is something she would often say. Four years later, along came the guy she called “the boy version of me,” Shawn Gorman. After dating for quite a while, they were married in West Leonard Church in 2006. 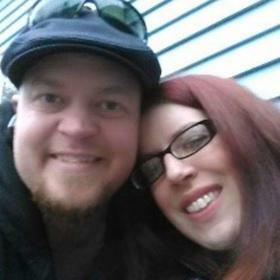 Although they were essentially “perfect for each other,” some life circumstances and Amanda’s deteriorating health were factors that drove them apart. Then our dear daughter continued to struggle with mental, emotional and physical problems that prompted numerous surgeries, numerous doctor visits and numerous visits to emergency rooms. Her seizure disorder exploded into two other types of seizures, and her other health problems left her depressed and lonely much of the time, despite many medications. 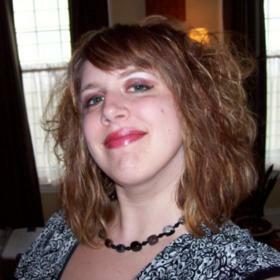 We want you to remember Amanda for the loving and caring person she was. 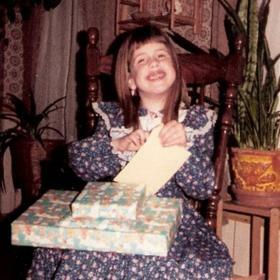 She loved her family and friends intensely and was very generous. We believe that one of the special gifts God gave her was to be a listener and an encourager to friends and family and even to people she only knew online. She loved all kinds of animals (especially her dogs – Buddy and Lola – and her cat, Mercedes), right down to the mosquito larvae that grew in the back yard pool! She was an “artsy” person and liked to draw and reveled in anything that was unique, especially something tie-dye or animal print. Quite a few years ago, she wrote out on a legal pad a children’s book entitled All My Children Have Paws: An Adoption Story. Her deep desire was to be a mom some day, but she grew to accept that that might not happen because of her illnesses and the medicines she took. Yet she was hoping to be a great stepmom to Jeremy’s children. But most of all, Amanda would want everyone to know that she was first of all a child of God, that she knew that Jesus died for her and that she would someday spend eternity with Him-- and she would want all of her family and friends to be there too! One time when Amanda was in pain and distressed, she started singing worship songs in her bedroom, presumably to soothe herself, and she did have a pretty good voice. Today we know that, clothed in the righteousness of her Savior, her song joins the one that never ends – the endless hallelujah!